Jimmy Ruffin (born May 7, 1939) is an American soul singer, and elder brother of the late David Ruffin of The Temptations. He had several hit records between the 1960s and 1980s, the most successful being "What Becomes of the Brokenhearted." 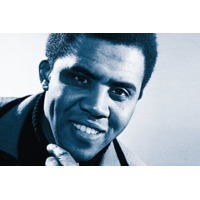 Jimmy Ruffin was born in Collinsville, Mississippi, the son of a minister, and was approaching his second birthday when his brother David was born. As children, the brothers began singing with a gospel group, the Dixie Nightingales. In 1961, Jimmy became a singer as part of the Motown stable, mostly on sessions but also recording singles for its subsidiary Miracle label, but was then drafted for national service. After leaving the Army in 1964, he returned to Motown, where he was offered the opportunity to join the Temptations to replace Elbridge Bryant. However, after hearing his brother David, they hired him for the job instead so Jimmy decided to resume his solo career. Jimmy Ruffin recorded for Motown's subsidiary Soul label, but with little success.